One of the things that is disappointing about being an early adopter of Windows RT is that the Windows App Store is a bit sparse. This really isn’t any different from what I went through with Windows Phone 7, and I’m not surprised by it. I know the apps are coming—I just want to know when! So, in an effort to find out when more apps were coming, I was poking around online. 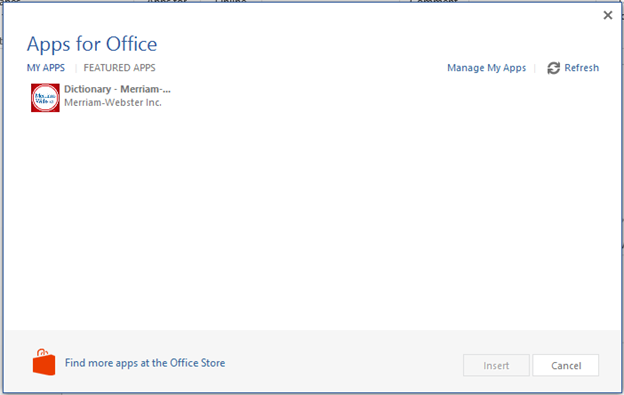 I didn’t find what I was looking for, but I did find interesting that might eventually turn into something useful: the Office Apps Store. I say “eventually” because I didn’t see anything that seemed particularly useful right now, but it is a fun idea with lots of possibilities. Just to try it out, I installed the Merriam-Webster Dictionary app. Installation is reasonably simple: just click the link from the store, and you’re done. 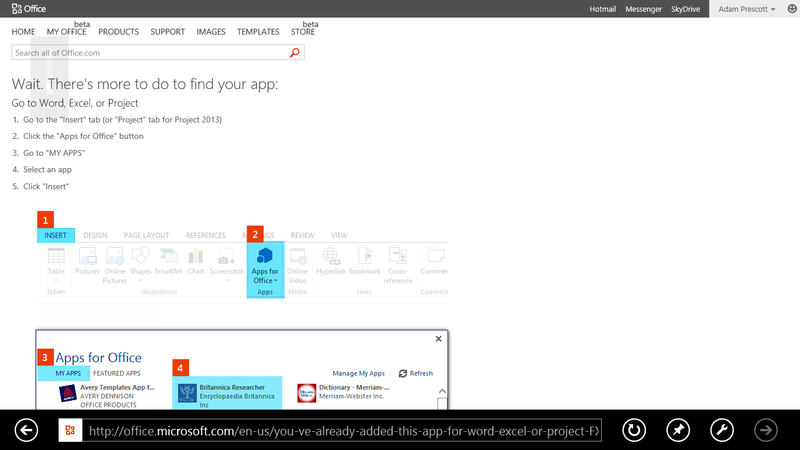 The app is then accessible from the corresponding Office app’s ribbon. There’s nothing revolutionary about the app. It’s a dictionary. You can look up words. But, it works like it should, and I’m happy to have it. 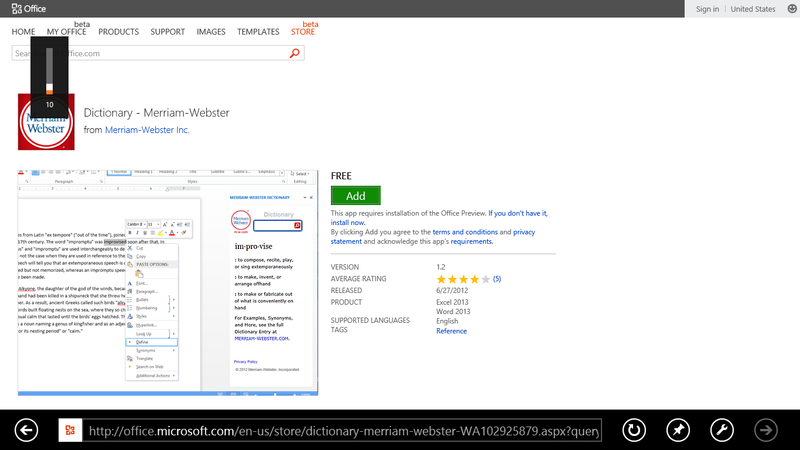 I was pleased to find that right-clicking a word and selecting Define looks up the word in the app—that was nice. That’s all for now. I’ll be keeping an eye on the store, checking in from time to time. Maybe something cool will turn up! Do you know about a cool Office app? Please share!